Holocaust Memorial and future intentions: Opportunities for Christian leaders. 12-4pm on Wednesday 4th February 2015 at Leeds Church Institute. 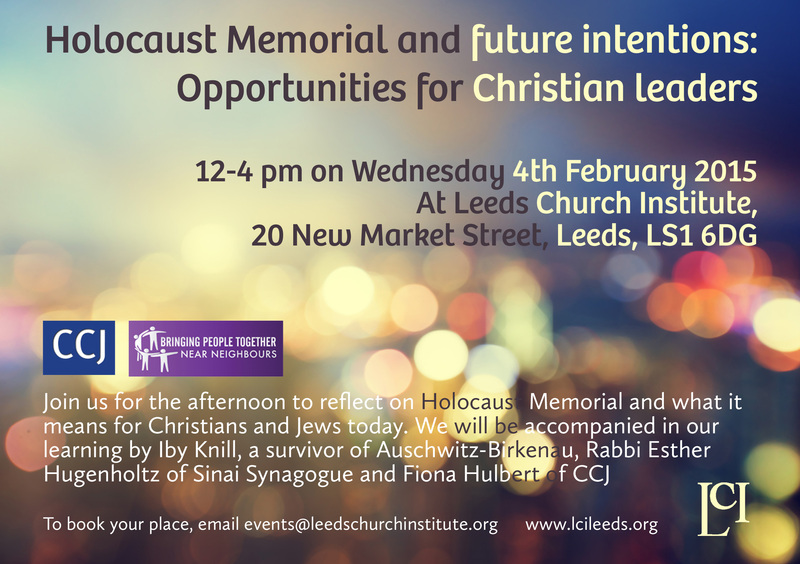 Join us for the afternoon to reflect on Holocaust Memorial and what it means for Christian and Jews today. We will be accompanied in our learning by Iby Knill, a survivor of Auschwitz-Birkenau, Rabbi Esther Hugenholz of Sinai Synagogue and Fiona Hulbert of CCJ.